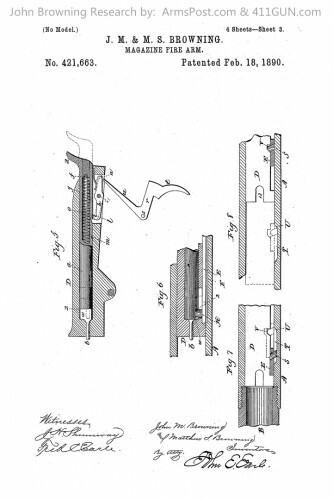 Back on February 18th, 1890 John Moses Browning was granted US Patent 421663. 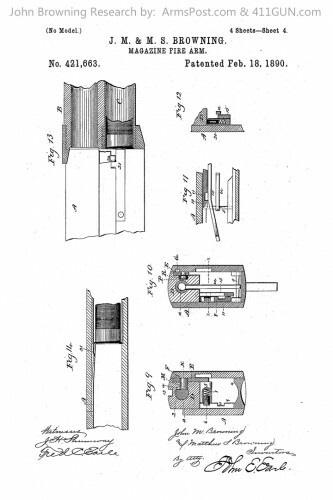 He had applied for this patent on June 4th, 1889. 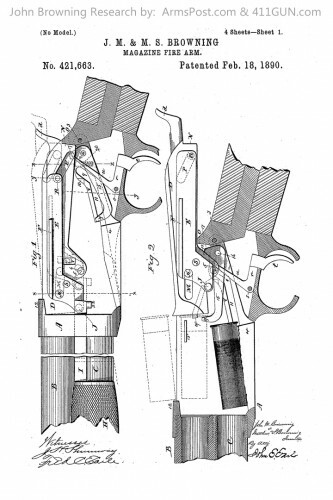 This particular patent is another one in the Magazine Firearm category of patents. 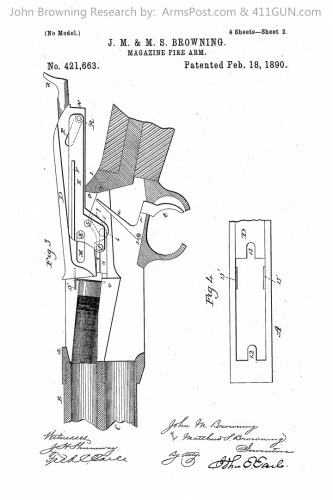 It is another one of his shotgun patents.